For Knight Companions, the title for members, of the Masonic and Military Order of the Red Cross of Constantine and the Appendant Orders of the Holy Sepulcher and of St John the Evangelist, or simply Red Cross of Constantine, Eusebius is an important character as he is noted for writing on the early Christian history as well as being a participant in the First Council of Nicaea. He was also referred to as Eusebius Pamphili, since he was close friends with Pamphilus of Caesarea, and was Bishop of Caesarea Maritima. Caesarea Maritima, or also known as Caesarea Palestinae, today is a national park along the Israeli coastline roughly between Tel Aviv and Haifa, but in ancient times it was a city and harbor built by King Herod around 25 BC. It has also been known as Caesarea of Straton, Caesarea of Palestine, Caesarea Palaestinae, Colonia Prima Flavia Augusta Caesariensis, Herodian Caesarea, Horvat Qesari, Kaisariyeh, Kessaria, Migdal Shorshon, Qaisariya, Qaisariyeh, Qaysariyah, Qesari, Qisri, Qisrin, Strato's Tower, Straton's Caesarea, Straton's Tower, and Turris Stratonis. Caesarea Maritima was named in honor of Augustus Caesar. The city became the Seat of the Roman Prefect soon after its founding. This city is the location of the 1961 discovery of the Pilate Stone, the only archaeological item that mentions the Roman prefect Pontius Pilate, by whose order Jesus Christ was crucified. According to the Acts of the Apostles, Caesarea was first introduced to Christianity when Peter the Apostle baptized Cornelius the Centurion, his household, and his soldiers. Through the collections of Origen of Alexandria and Pamphilus of Caesarea the theological school of Caesarea won a reputation for having the most extensive ecclesiastical library of the time containing more than 30,000 manuscripts. It suffered some damage by the hands of the Roman Emperor, but after the Christianization of the Empire it was restored by the Bishops of Caesarea and existed until the conquest of the Muslims. Eusebius was born around 263 AD and would become a noted Roman historian and debater of Christian theology. He would become Bishop of Caesarea in 314 AD. His noted works include Demonstrations of the Gospel, Preparations for the Gospel, On Discrepancies between the Gospels, the Ecclesiastical History, On the Life of Pamphilus, and The Chronicle and On the Martyrs. For his efforts he would be referred to as the "Father of Church History". Little is known about the actual life of Eusebius, but what we do know comes to us from the writings of his ecclesiastical successor, Acacius, who wrote Life of Eusebius, a work that has since been lost. This work may have been lost because Eusebius was on the losing side of the arguments over Arianism. It is presumed is that he was born and lived in Caesarea. He was baptized and instructed in the city by Agapius, the current Bishop of Caesarea, who would later make him a presbyter or minister. "I feel inadequate to do it justice as the first to venture on such an undertaking, a traveler on a lonely and untrodden path, but I pray that God may guide me and the power of the Lord assist me, for I have not found even the footprints of any predecessors on this path, only traces in which some have left various accounts of the times in which they lived." Some theologians and scholars have called into question the validity of Eusebius' writings as they were less about facts and more about the rhetoric and propaganda of the time. Eusebius succeeded Agapius as Bishop of Caesarea around 314 AD. As Eusebius was a learned man and famous for his writings on early Christian history he was invited the Emperor Constantine to attend the First Council of Nicaea in 325 AD. It was here that the argument over Arianism and the theology of Origen grew to a head. The biggest opponent was Eustathius of Antioch. At a synod (an assembly of clergy) in Antioch, Eustathius was deposed and Eusebius prevailed, but soon another opponent would surface under the name of Athanasius of Alexandria. Two more synods would be convened summoning Athanasius, but he refused to attend and rather went to Constantinople to bring his cause to the Emperor. As a result Athanasius was exiled since Eusebius was still in Emperor's favor. Eventually Arius would be censured and eventually Arianism would be rejected. 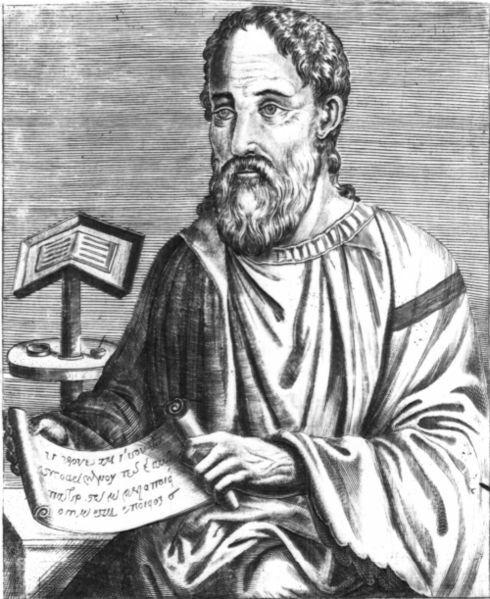 Eusebius was reluctant to sign the agreement of the Nicaean Council, but he preferred to support unity and peace within the Church since he was not an Arian himself, but rather he opposed anti-Arianism. After Constantine died around 337 AD, Eusebius wrote the 4-volume book Vita Constantini, or Life of Constantine, which is considered an important historical work because of eye witness accounts and the use of primary sources. Eusebius died around 339 AD; he would have been around 76-years old. 2. (n.d.). Acts 10:1. In Holy Bible, King James Version.